If you’ve been a parent for any length of time, you know that with all the joy also comes some challenging times. I’m only 8 years into this parenting journey, but I have already had times of self-doubt, no sleep, and various other struggles. Given my background in research, I always gravitate towards parenting books during these stressful times. I rely on others’ knowledge and experience to make up for my lack thereof. You can almost always tell when I’m going through some parenting turmoil or questioning my parenting choices because my Amazon list and library trips start to grow daily. 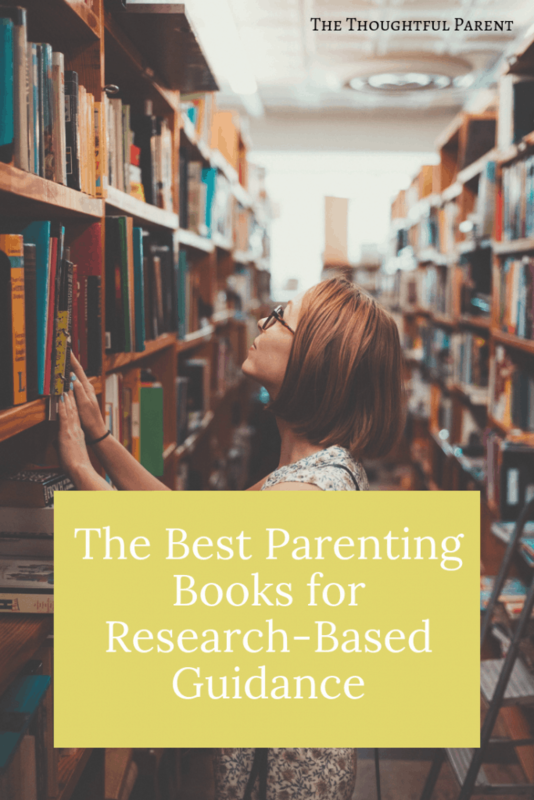 With this in mind, I’ve compiled some of the books I have relied upon in the past few years to get me through some tough seasons of parenting. What Do I Do With a Screaming Newborn? Happiest Baby on the Block. It may not be the hottest book on the parenting shelves these days, but it sure was a lifesaver when I was home alone for the first time with a newborn who wouldn’t quit crying. Dr. Karp’s “5 S’s” were music to my little guy’s ears. We had white noise in every form or fashion (e.g., hair dryer, white noise phone, fans). We also soon learned to swaddle like veteran parents. Healthy Sleep Habits, Happy Child and Elevating Childcare. Neither of my boys were what you would call easy sleepers. They required bouncing, rocking, swaddling, pacifying, etc. to get even a 20 min nap. When I started to get to my breaking point, I found this book. It became my handbook for all things sleep. Now, I know that people have very different opinions on how to handle sleep with their babies. I’m not here to start a debate about sleep training/co-sleeping or any other matter. This is just what worked for us. The book is based on years of sleep research (which I appreciate) and it offers information on average sleep patterns at various ages from birth to age 3. This type of information was comforting to me. Dr. Weissbluth also offers real-life case examples of how adequate sleep changed parents and children’s behavior and attitudes. He also provides fairly detailed plans on how to help your child sleep at each age without being harsh or unreasonable. Elevating Childcare is not just about sleep but it includes a wonderful chapter about the topic. Over the years, Janet Lansbury has become one of my favorite parenting authors and this book will tell you why. She helps us understand how to meet the needs of our development children without becoming martyrs in the process. The way she helps you balance the needs of your child and your own needs is wonderfully helpful. Ack! Am I Messing Up My Child? The Science of Mom. Once I got past the newborn phase, there were so many questions–am I breastfeeding long enough; when do I start solids? Dr. Calahan’s book helped answer these questions and more from a research perspective. It wasn’t preachy or dry. Just real life, helpful information from a mom who has “been there, done that” but has more scientific knowledge than the rest of us. Brain Rules for Baby. I felt like I had the physical development of my baby down, but now what about his brain development. How do I ensure that he develops in the best possible way? Dr. Medina has got this topic covered. His book is like a flashback to my grad school child development class–but much more fun and engaging. The great thing is he refers to all the classic child development research but puts it in such a way as to address our burning questions. For example, how do I raise a child who is emotionally balanced and empathetic or how much TV is okay for my child to watch? What the Heck is Going on With My Toddler? How Toddlers Thrive. Some days I remember looking at my sons when they were toddlers and just thinking, “I have no idea what’s going on with him.” I would think I had him all figured out and then he would go through a phase of whining or clinginess and I was at a complete loss. Dr. Klein is wonderful at helping decode these toddler moments. Common toddlers issues like sharing, managing transitions, language learning, and potty training are all discussed in authentic ways, but also based on a real understanding of child development. I still refer to this book often, even with my 4-year-old. Why is My Child So Different From Others? Raising Your Spirited Child. If you’ve ever wondered why your kid is the one who melts down easily or seems so sensitive to changes, then this is the book for you. Early on I could tell my sons (especially the oldest) were more energetic, sensitive, and for lack of a better word “high-strung” than many of my friends’ kids. I knew in my heart that these traits could have an upside, but some days it was hard to find. This book is wonderful for helping you find the upside of challenging behaviors. The author goes deep in helping you understand why some kids are just wired differently, but this is not a bad thing. She helps you see how it is something you have to learn to work with, instead of against. 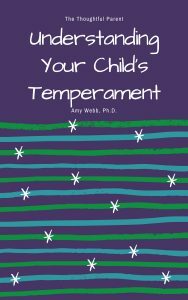 Understanding Your Child’s Temperament (yes, my book!). After working through understanding my own boys’ temperament, I decided to write a short e-book to help other parents struggling with this issue. I provide a lot of real-world examples of how to help meet your child’s psychological needs, based on their temperament, even if your temperament is much different from theirs. I Can’t See the (Parenting) Forest for the All the Trees–What’s the Big Picture? The Gardener and the Carpenter. I’ve referenced this book a few other times, but it really is one of those that will change your worldview of parenting. Sometimes we get so caught up in the “trees” of parenting–the everyday squabbles, meal prep, playdates, etc. that we forget the “forest.” Dr. Gopnik brings us back to what the big picture of parenting really is all about–we are nurturing little humans, not producing a product or a mirror-image of ourselves. After reading this book, I think you might just take a deep breathe and relax a bit into parenting instead of considering it a competitive sport. It’s Time for Preschool–What Do I Look For and How Do I Choose? The Importance of Being Little. This book is eye-opening and kind of revolutionary in today’s world. A book that actually encourages parents (and teachers) to allow kids to be kids. If you ever have any doubt that play is the real work of childhood, then you need this book. The author is a professor and former preschool teacher who outlines beautifully the role that early education should play in the lives of young children. It may not be what you expect, however. She doesn’t discuss worksheets or flashcard or even crafts. It’s all about authentic, child-led learning and what that can really look like in a real setting. The Most Important Year. If you want to really understand what’s going on in the world of preschool education in the U.S., this is a must-read. The author takes you on a virtual tour of preschool classrooms–what’s working, what’s not and why. She also helps us understand more fully the idea of play-based education and why it’s important. How Do I Raise a Kind Kid? The Yes Brain. This is one of my all-time favorite go-to parenting books. The reason: it’s about raising kids who have mental and emotional strength. We often get caught up in worrying about our kids’ academic achievements or sports teams, that we don’t deeply think about the type of human being we want to raise. This book helps us focus squarely on all the emotional skills that our kids need to thrive in their world–empathy, resilience, persistence and kindness. A wonderful read at any stage of your child’s development. I Want My Child to Love Reading…Where Do I Start? Caught Up in a Story. Wow is all I can say about the book. I just started reading this during the summer and it has changed my outlook on what summer reading should look like. More than just a list of book suggestions, this book illustrates with such beautiful stories and language how books can guide you and your child through childhood in a lovely way. Maybe I love this book so much because I remember how books did that for me. I have seen glimpses of how stories can have such power for kids with my own boys, but it hasn’t happened as often as I would like. I’m hoping if I keep reading this book, I can foster that story-formed life experience for them. Well, I hope this list helps some of you through the ups and downs of parenting as they have helped me. 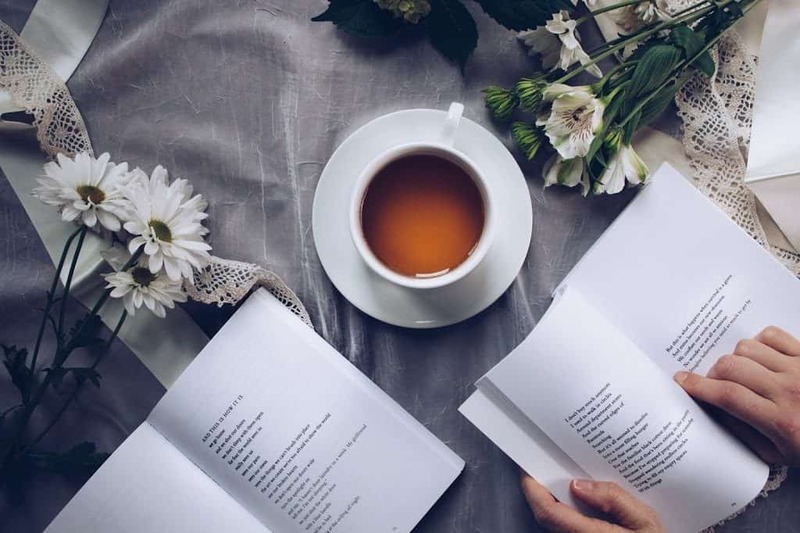 As parents, it is often hard to find time to read the books that might enrich our lives and support us in our parenting, so consider listening to some of these on audiobook as well. I can often sneak in a few minutes of good listening while making dinner or after the kids go to bed.